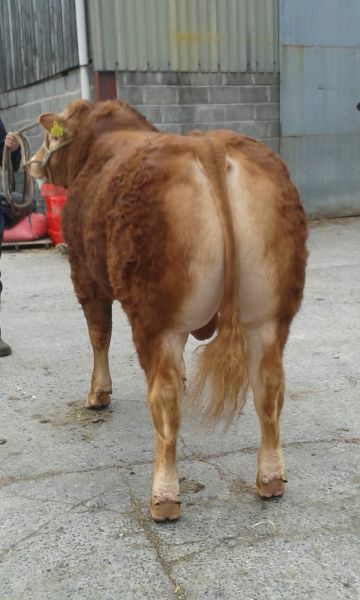 Sold for 6,100 gns to the Impressive suckler herd of JK Morgan, Sennybridge , Brecon, Powys. A Plumtree Deus son of Afallon, a Jockey daughter. Great figures for growth, muscle, scrotal and docility, and a better than average calving value. A big favourite here, bred in the purple patch, and looks to match. 3 Dyfri Bulls sell to an average of over £4,600. Posted on 3rd May 2015 at 3:24 pm.